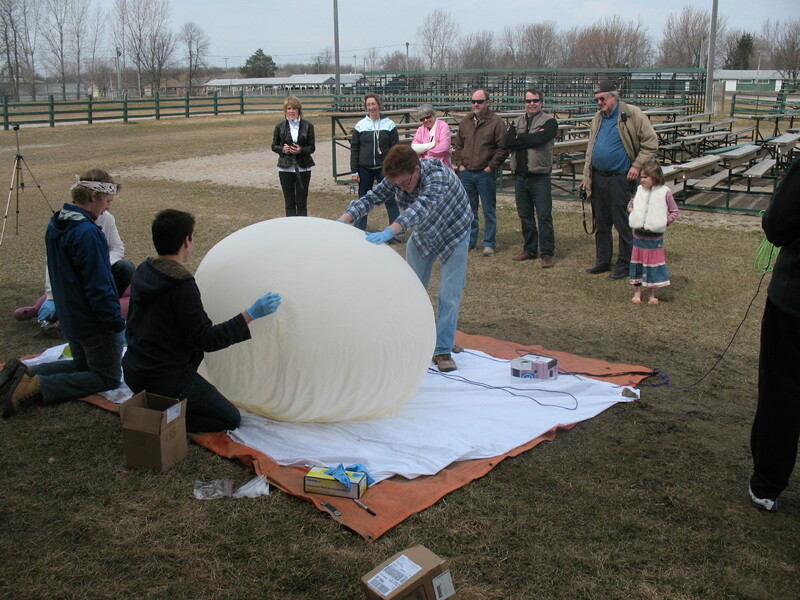 Lanark Space Agency members assisted a group of 4th year Queens University Physics Engineering students with their balloon born research probe. The probe was launched from Perth on Sunday April 10, 2011 at approximately 1pm EDT. 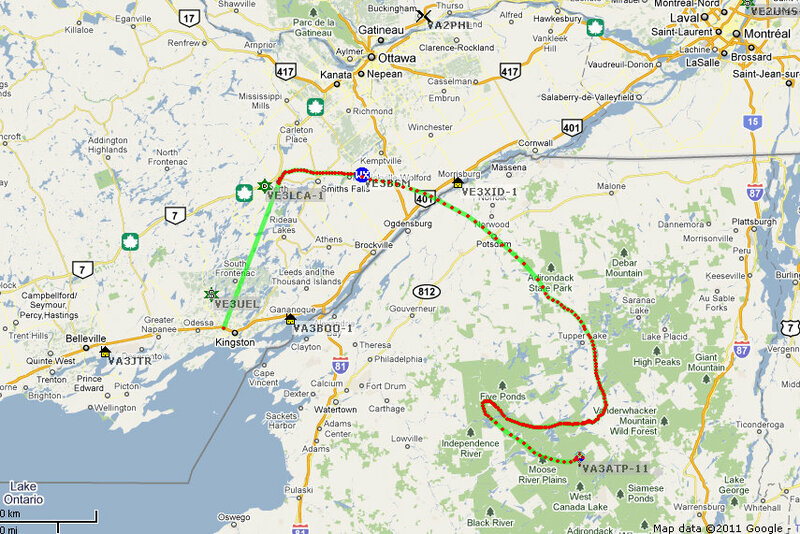 The flight took the probe to a height of over 102,000ft and zigzaged over upstate NY eventually landing in the Blue Mountains. Spreading the joy and the knowledge is a wonderful gift. Sounds like the project and the flight were a success. I saw a few funky looking knots, though. I guess they held. Good luck on your upcoming mission.